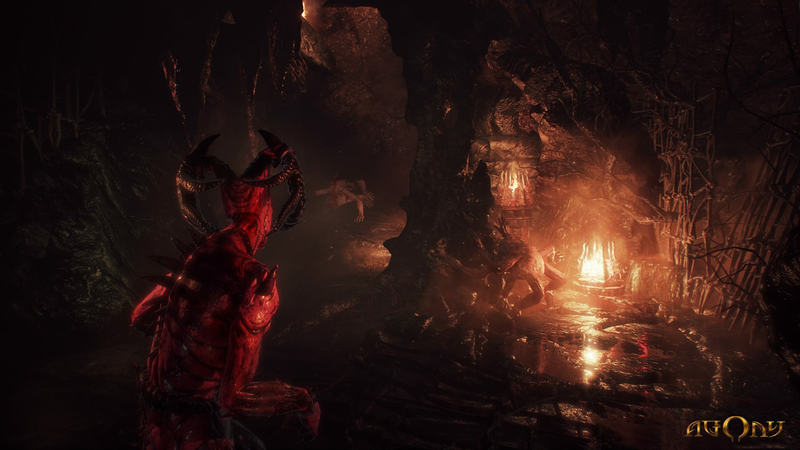 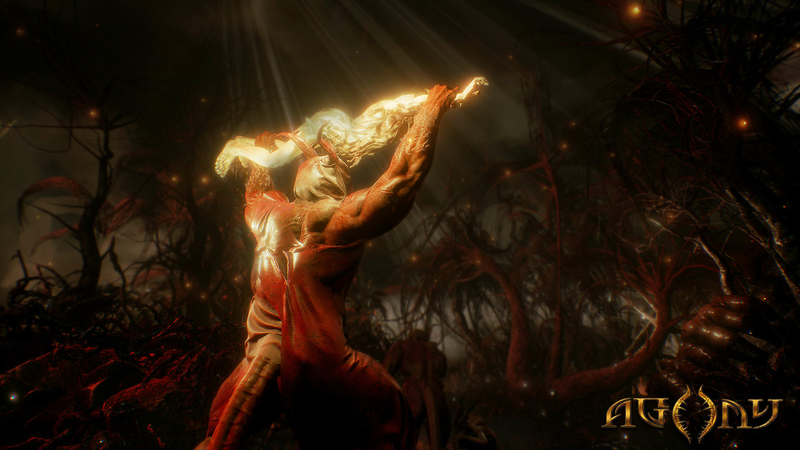 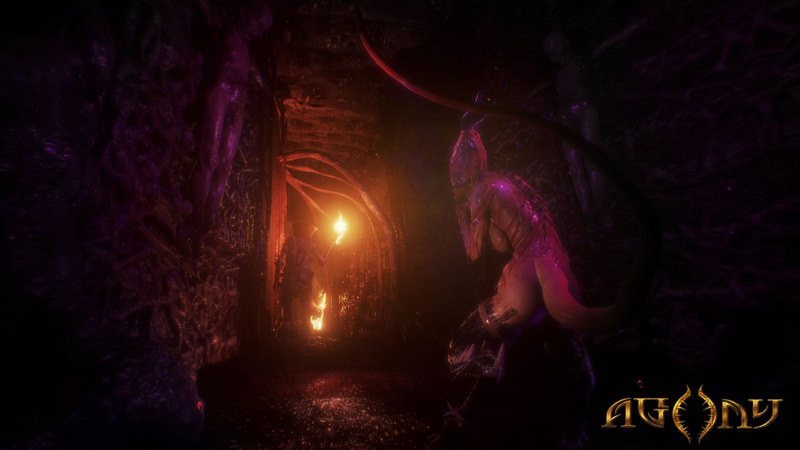 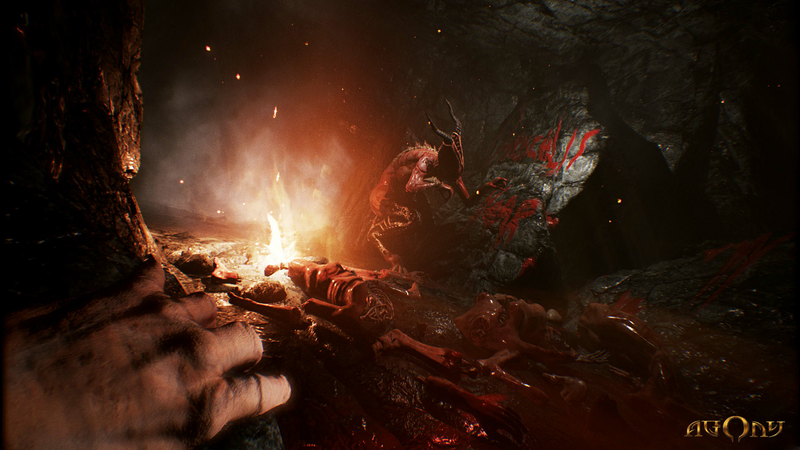 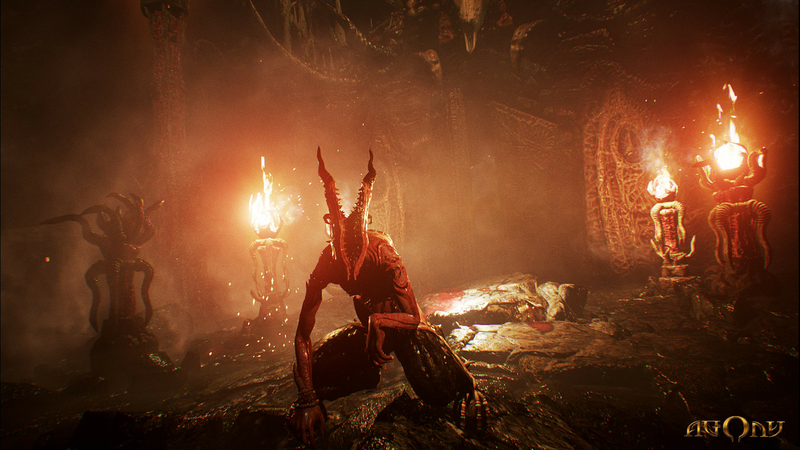 Agony is a first-person, survival horror game set in hell. 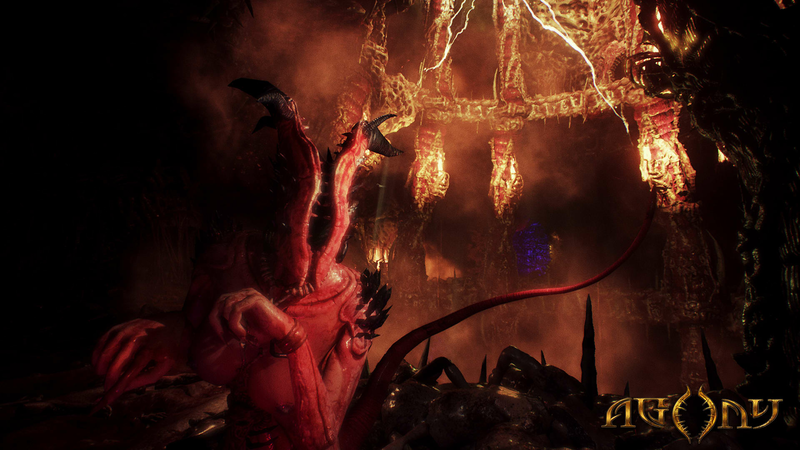 You will begin your journey as a tormented soul within the depths of the underworld, without any memories of your past. 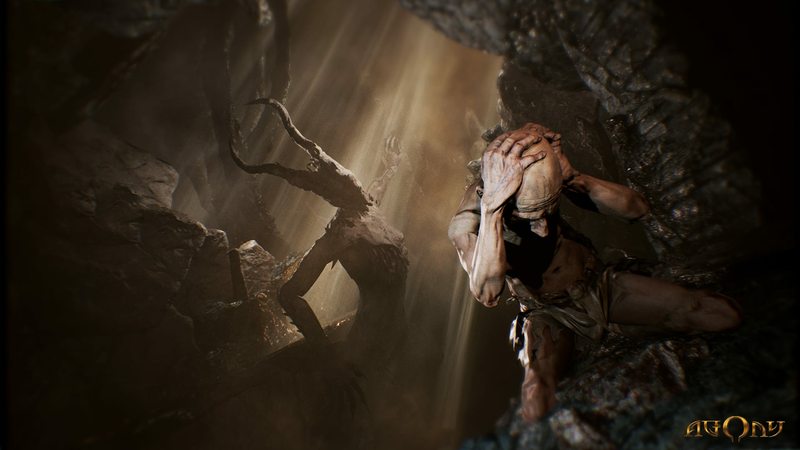 The special ability to control people on their path, and even possess simple minded demons, gives the player the necessary measures to survive in the extreme conditions they are in. 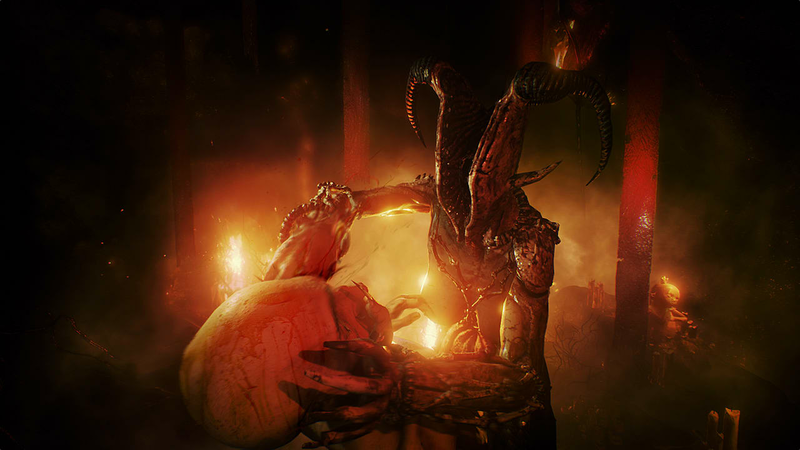 By exploring hostile environment and interacting with the other weary souls of the hellscape, the hero will soon understand that there is only one way to escape from Hell, and it will require a meeting of the mystical Red Goddess.